In the early 1800’s William and Jane Blackwood Baird of Ireland, gathered their possessions and boarded a boat in England bound for Canada. Included was a huge, two volume, leather bound Bible. In the front of the book, it curvy ink writing are the names and dates of birth of their children. Listed is Ellen Baird. Born is Granby Quebec on Christmas Eve in 1828. Ellen would become my great-great grandmother. I am not sure why but Ellen eventually moved to Newburyport Mass. From cenus records I believe she may have been a teacher. I think it is there that she met Ebenezer Perry Sargent. Eben loved dancing and worked in a mill as a weaver. The internet has opened a wide door for me into the world of distant relavtives and sources of information. About five years after an original posting asking if anyone had any information on Ellen Baird, I opened my email one day and there was a response. The woman was not related, but had copies of love letters between Ellen and Eben. On a computer screen the world of the 1840’s in a thriving Massachusetts mill town came to life. The rural country life of a girl who talked about the new horse and carriage and making arrangements for her “beau” to meet her parents made me smile. I read love letters between my great-great grand parents. As I continued my search for more information I entered a new inquiry on-line. Did anyone “out there” know where Ellen’s parents were buried. And one day, sure enough, there was a response. 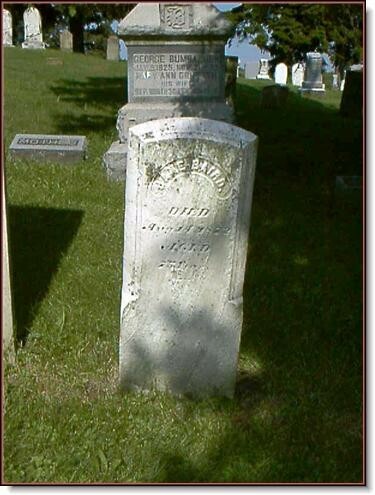 William and Jane were buried in Lithopolis Ohio, not far from the family house. “Family house”?? The woman with the information was related to one of Jane’s sisters….. This is one of my more complete lines. It’s rewarding and thought provoking. Eventually I learned that the Baird’s even had a shoe store in Columbus Ohio that was a part of the Beggs Dry Goods Store. Beggs, of course is my maiden name! My new found “friend”/distant cousin, Anne, says there is a picture somewhere of the shoe store sign: “Baird’s Shoes”. I hope one day soon there will be another email in my in box. 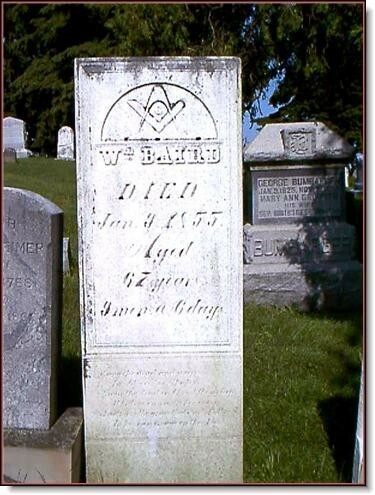 Hello I’m descended from one of the Baird families living in Granby, Quebec in the early 1800’s – I trace to “jane” or “mary jane” Baird (b. about 1828)married to Stephen Farwell Willard and settled in Roxton Pond, Quebec. Suspect she may have been part of the Blackwood/Baird family, but haven’t made a definitive connection. Even more intriguing – Stephen and Jane named my great grandfather Alfred SARGENT Willard (Bairds, Seargents, + Willards seem to have some connection in Quebec). Have you perhaps run across any mention of Jane/Mary Jane?